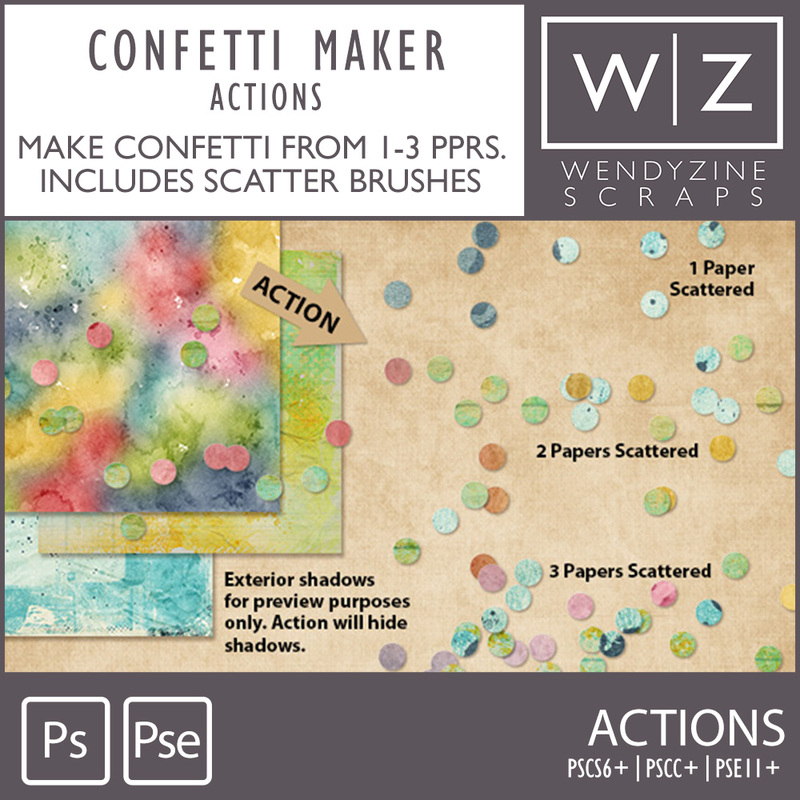 Confetti is so fun to add to your digital layouts, especially since you don't have to clean it up! Use any papers in your stash to create a 1-paper, 2-paper or 3-paper spray of confetti. Includes a special brush for creating your confetti spray. Or, use one of my glitter brushes, available separately for fun shaped confetti. Designers will appreciate the trim/hide shadow combo action that will prep your confetti for your kits. Tested in PSCC+, PSE11+. Personal, S4H and Designer use okay.